Vogue Italia is just not the same without Steven Meisel shooting the front cover. Thankfully, the master photographer and forum favorite returns for the March 2018 issue after a long hiatus following his July 2017 cover featuring the gorgeous Grace Elizabeth. Newcomer Remington Williams makes her debut, marking her very first magazine cover (having only been scouted late last year) and immediately makes her mark on the world of modeling. 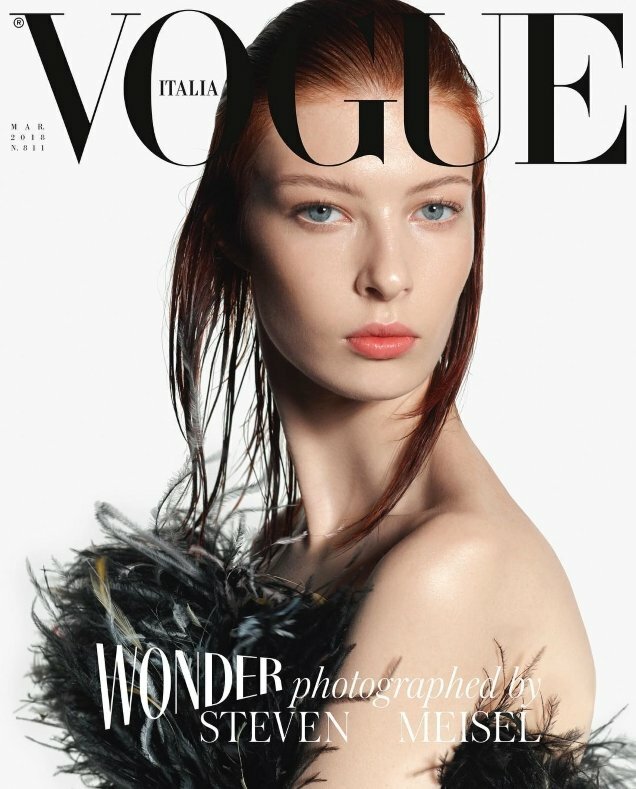 The 20-year-old wears a black feathered Giorgio Armani Privé dress in the simplistic cover shot styled by Joe McKenna. According to our forum member, however, the cover was missing a certain something. “Good for Remington! From working at Chipotle to the cover of VI!! Also, I’m happy Steven is back, but I was expecting one of his favorites to be on the cover,” voiced RanThe. “Definitely a Meisel type of girl. I’ve seen it all before. Nothing new or interesting,” said MissMagAddict. “No problem with her, but this cover doesn’t work, at all. So bland!” Miss Dalloway complained. “This is sooooooo boring. Nothing wrong with the girl, nothing good either. It’s just blah,” ranted vanpersie. Les_Sucettes wasn’t impressed with the team’s efforts this month, either. “The cover is insipid. And the hair kills it for me,” she pointed out. “I’ll pass. Not even Meisel can save her,” guimon discredited. “It’s safe, but I”ll very much take this over some sort of stunt shoot with a lesser photographer than Meisel, or some 10 multi-cover mess you come out of not even remembering,” reasoned tomtakesphotos. Check out Meisel’s accompanying cover story and share your opinion with us here.